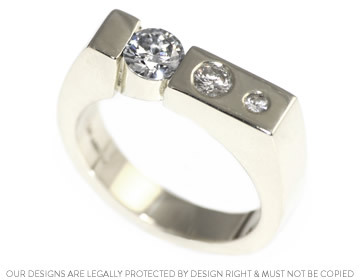 Nicola visited the studio to design a very special ring, incorporating her own ~5mm memorial diamond, and ~3.5mm and ~2mm brilliant cut diamonds. 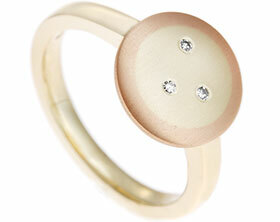 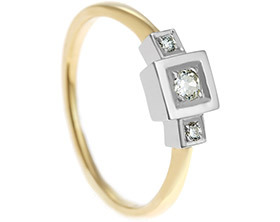 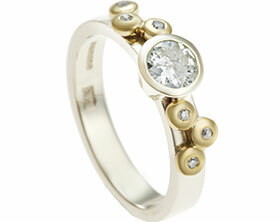 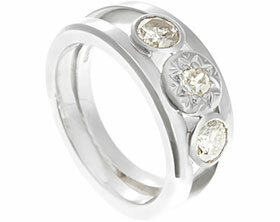 Nicola was very keen on using her own gold, so decided on a beautiful 9ct white gold ring. 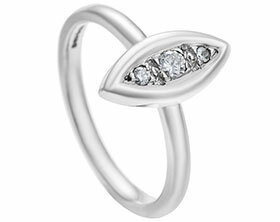 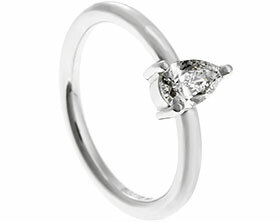 The ring holds the ~5mm diamond in a tension style setting, with the other two diamonds being very carefully invisibly set within the ring. 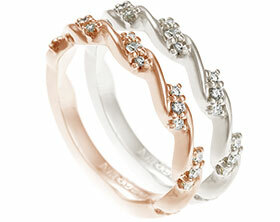 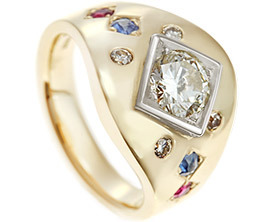 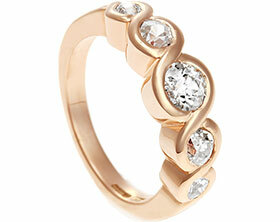 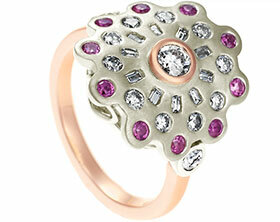 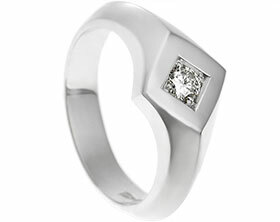 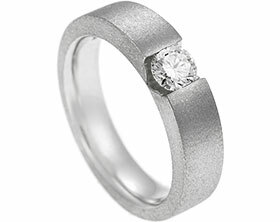 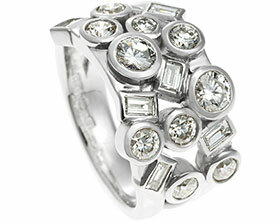 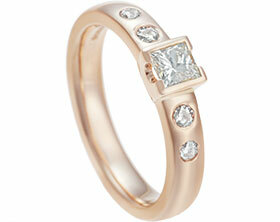 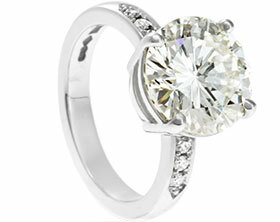 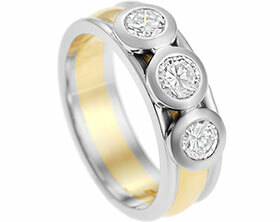 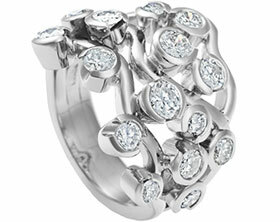 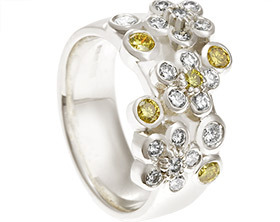 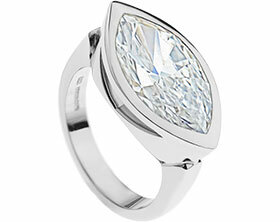 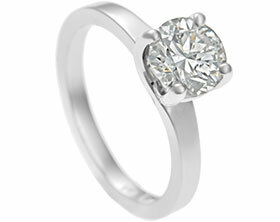 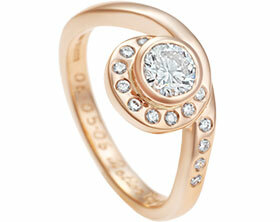 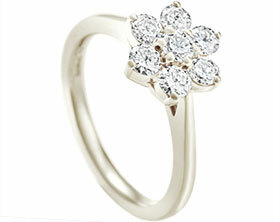 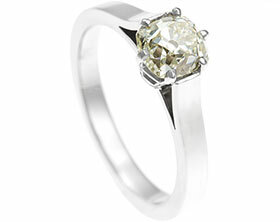 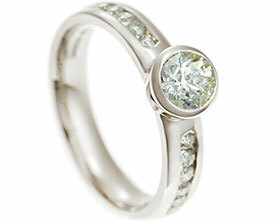 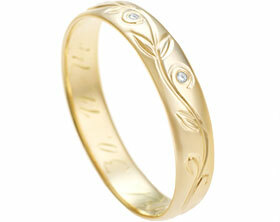 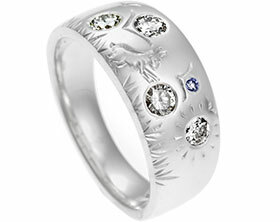 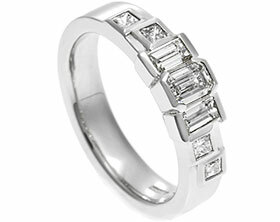 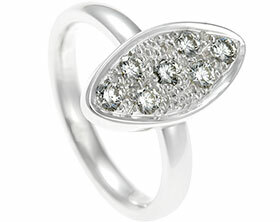 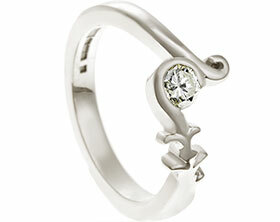 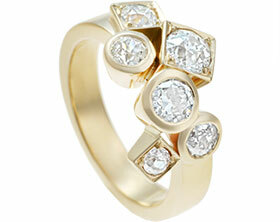 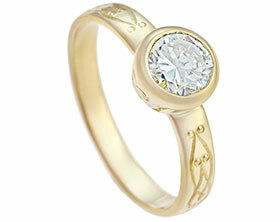 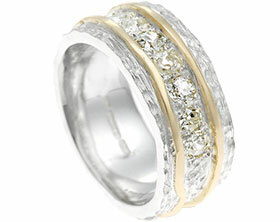 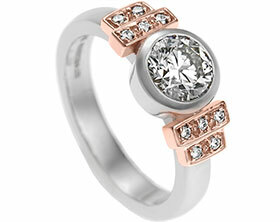 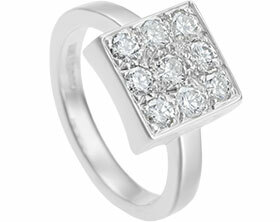 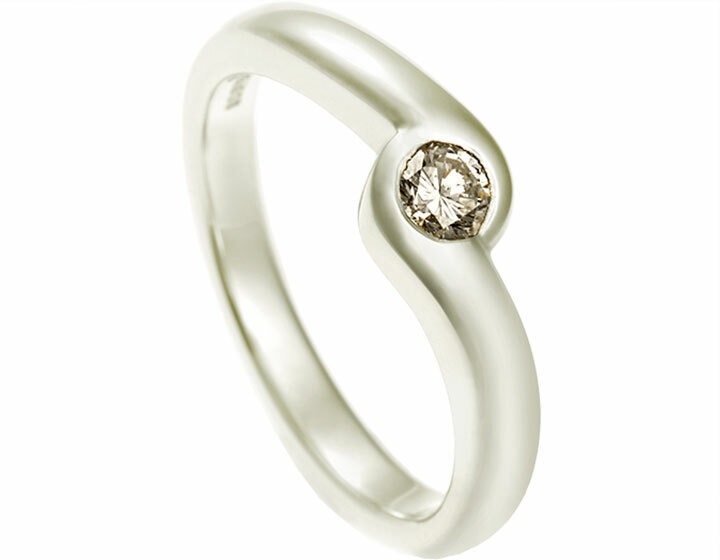 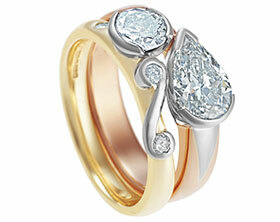 It has a beautiful high polished finish, really bringing out the special sparkle within the diamonds.